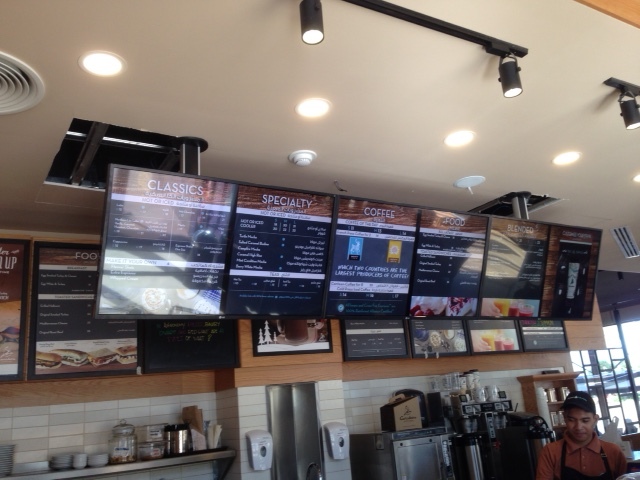 Caribou digital menu boards displays delicacy’s following the course of the day. Croissants in the morning, sweets after lunch time. All scheduled through Centoview and displayed on a 4K player or directly to the integrated controller of the screen. When the ‘decentralized’ branch manager comes up with a fantastic new Trivia of the day, he shares it on the screens via the Centoview CMS. Answer the question correctly when you entering the shop and you ‘ve got yourself a great cup of Caribou coffee for free!